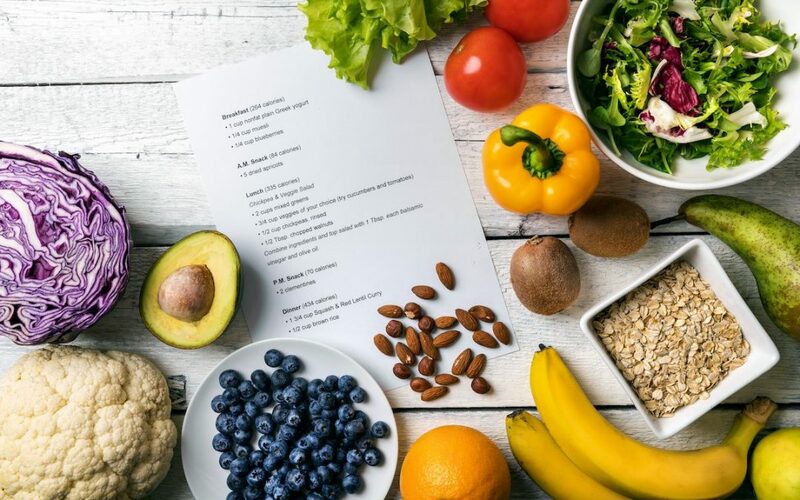 We present 7 simple proposals for advanced nutrition programme, which contain all nutrients necessary for correct function of the metabolism. This type of diet is recommended for whole life and aimed to keep the body healthy and alkaline. we do not have included fruits in the recipes since people with candida should not take this type of food. people who can eat all kinds of fruits can add it between meals. It is possible to use all mentioned foods on the list “Recommended” on the other document. This is a document of balanced suggestions; but you can also use the recommended ingredients on the other document, replacing ingredients mentioned here. We make a smoothie with half a liter of some vegetable drink, for example oat or soy drink. To this vegetable drink we add seeds according to our preferences (oat seeds, chia, poppy seeds, sesame, flax…) and nuts. We shred or beat the mixture until a smooth drink. If desired, we can add cinnamon or stevia to have a sweet touch. This is a light breakfast, which provides all the nutrients and energy needed for the day. For a rice pancake we spread unroasted sesame puree, which could be complemented with an infusion such chamomile, thyme or mint. 3- Natural oat or soybean yogurt with seeds, nuts and solprotein, if you have. We grind seeds and nuts we prefer, we also can put not grind flakes, such as oatmeal or fruits and we add whole yogurt in a bowl. We mix all ingredients with yogurt or a vegetable milk and also add a couple of teaspoons of “Solprotein”, if possible. It is an energetic, satisfying, very nutritious and healthy breakfast. We can sweeten the breakfast with cinnamon and stevia, if desired. Instead of using soy yogurt or oatmeal, we can also use Japanese tofu. 4- Chia seeds with dried fruit. We prepare a soak of chia with soy, oat or rice milk a night before. The next day, once chia has been soaked well with the soy beverage, the texture is yogurt-like. The resulted breakfast is rich and nutritious. We can mix with nuts, seeds or fruit according to our preferences from allowed food. We prepare a soak of chia the night before. In the morning, we remove excess of the water and mix with powdered almonds, more or less half of each and add salt and a little bit of baking powder. We can add cinnamon or stevia for sweeter taste and a little bit of “Solprotein”, if desired. When a paste is prepared in the wanted shape, for example shape of pancakes, we will bake it. 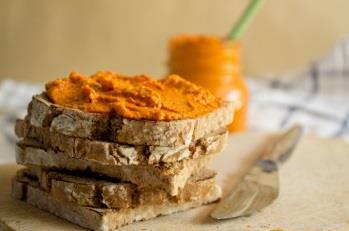 This is a great recipe for bread without flour that can be served with vegetable pates, sesame puree or cinnamon. On the pancake or bread, we put a little bit of olive or sunflower oil, a few slices of tomato and above these add vegetable tapenade of olives or something else. You can also use pâté or a slice of vegetal sausage. It is delicious and very healthy! We take a glass of soy or oatmeal milk with cocoa-like carob powder to drink. It’s delicious. We mix 4 cups of rye flour with 5 cups of water and let stand the night before. The next day, add a little bit of salt and baking soda powder to the dough. Beat an egg and mix it with a little bit of oil. Make a dough from all the ingredients, shape the pancakes and it is ready for frying pan (without oil)!! We prepare desired/allowed vegetables to put in the oven and roasted with olive oil, or only with water to make it healthier. About 10 minutes before the desired point, we add cut vegetables sausages or tofu to roast it a bit. When roasted at the desired point, we remove it from the oven. Garnish with crude olive or other vegetable oil, add salt, paprika and other spices to taste it. Both, sausages and tofu, can be any flavor (herbs, paprika, spice, etc…). We sauté an onion and paprika and add some spinach. We cook the rice. Once cooked, we mix it with prepared vegetables and add ecological chickpeas or other legumes we prefer, which can be pre-cooked or we cook them at home. As always, we dress the meal as desired, with oils and spices. We can also add legumes and vegetables 5 minutes before the rice is cooked and finish cooking it all together. The suggested salad is made from lettuce, cucumber, tomato, soybean and alfalfa sprouts, a little bit of salt and sunflower or flax oil. The main course consists of boiled rice with cooked broccoli, or if possible, steamed. Do not overcook in order not to lose too many properties. Fresh tofu can be added to salad or main dish. It is recommended add black pepper, salt, olive oil and spices. Suggested sauteed vegetables are: red and green paprika, onion, garlic clove and asparagus. We can cut vegetables for example into julienne, and saute on the pan with water or olive oil. 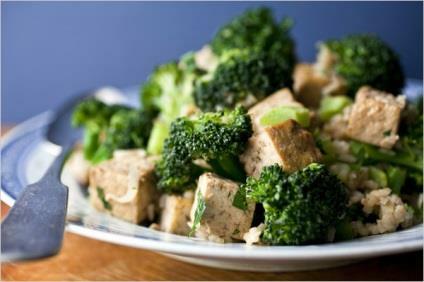 When the vegetables are quite sauteed, we add the seitan in cubes or strips and finish sauteing. We add spices to taste. If we prefer, we can cut the seitan as fillets, sautee it and vegetables separately and serve it directly in the plate together as a combine dish. It may be accompanied with an egg omelet. Buckwheat is prepared like rice. We cook the desired amount. We sauté sliced tofu (cut by us) without oil. All types of tofu are valid, except silky or Japanese, which are too soft. There is tofu of different flavors in the market. Any of them would be valid. We mix wheat and tofu 1:1, with some other ingredients we want: olive oil, salt, spices (oregano, basil, cumin, pepper, thyme…). We cook a little bit of integral rice apart. 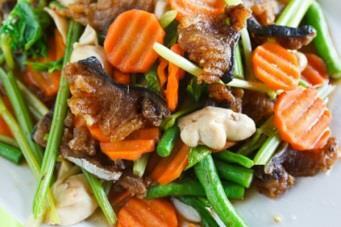 Cook the legume as usual, with some vegetables to improve the flavor. It is not necessary to put a lot of seasoning to the legumes since the strong point will be the fresh vegetables that we will added later. When the stew is finished and hot, we add to the dish before serving some fresh vegetables such onion, avocado, tomato, lettuce … cut into small pieces or cubes… we add a little bit of integral rice previously prepared to dish. We season with olive oil, pepper and salt. The contrast of fresh vegetable with cooked vegetable makes a healthy and delicious combination. We beat in a blender the following suggested vegetables: lettuce, cucumber, tomato, celery and onion. We add olive oil, salt and a little bit of lemon juice if desired. This vegetable shake can be performed with vegetables that we like and can be varied each day. Raw vegetables is the healthiest since contain all the nutrients and vitamins. If we want to eat something else, we can opt for a crude or sauteed veggie burgers or sausages. A warm infusion is always advisable and healthy. They are much better than cold drinks. We can make a good salad suggested the following ingredients: lettuce, spinach, watercress, radishes, cucumber, avocado, pumpkin seeds, nuts and poppy seeds. Then we can season the dish to the preferred taste. We boil or steam green beans. Then we add grated carrot and chopped seitan, either raw or fried without oil (best raw). Add some Himalayan salt, olive oil and spices to taste. We cook this meal the same way like paella. We saute some vegetables (tomato, onion, paprika, celery…) in a pot or in a “paella pan” and add rice and we continue adding water to the rice and vegetables leave cooking. Integral rice should need twice more time than “white” rice to be cooked. We can also cook the rice and then the vegetables aside. We grilled (without oil) vegetable sausages and some vegetables and when they are at their best, we add to the rice. To color the rice, we can add a little ecological saffron or turmeric. We cook the cabbage, or if possible, steam it. We can add a little bit of organic vegetable oil, pepper, salt and we add the seeds and nuts. It may be accompanied with an egg omelet. For dressing we can use any type of vegetable oil, salt and a little lemon or lime. It is a gentle, different, delicious and healthy dish. We chop the raw cabbage into very small pieces and put in a bowl. Add the diced tofu sausage or diced vegetables. We stir the yogurt natural soy until is creamy and then we add it to the salad. Stir and sprinkle dill or other spices of we chose. It’s delicious! We strongly recommend to follow our hepatic detox program as well as other programs shown in this website so you can get better results.